This story was originally reported by Adaobi Tricia Nwaubani and edited by Claire Cozens for the Thomson Reuters Foundation. 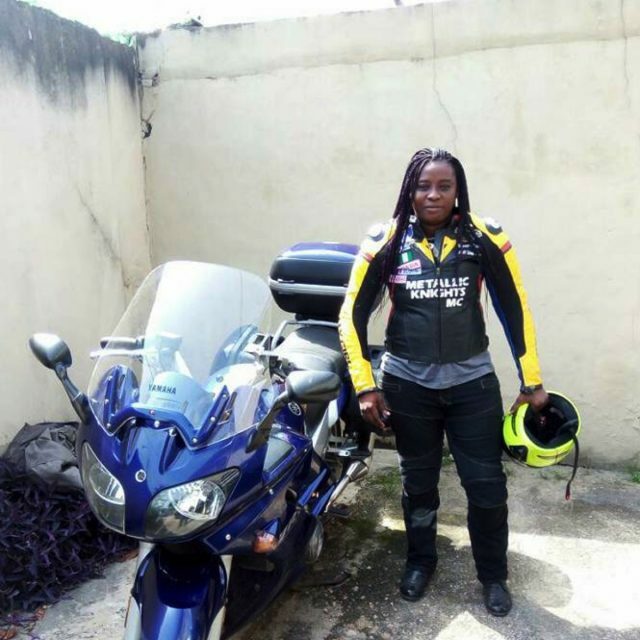 Enter the Female Bikers Initiative (FBI), which has already provided free breast and cervical cancer screening to 500 women in Nigeria’s commercial capital Lagos. This August, D’Angels and another female biker group in Lagos, Amazon Motorcycle Club, plan to provide free screening to 5,000 women – a significant undertaking in a country where many lack access to proper healthcare. “What touched us most was the women,” D’Angels co-founder Nnenna Samuila, 39, told the Thomson Reuters Foundation by phone from Lagos. Breast and cervical cancer are huge killers in Nigeria, accounting for half the 100,000 cancer deaths each year, according to the World Health Organization. Screening and early detection can dramatically reduce the mortality rate for cervical cancer in particular. But oncologist Omolola Salako, whose Lagos charity partnered with the FBI last year, says there is not enough awareness of the need for screening. 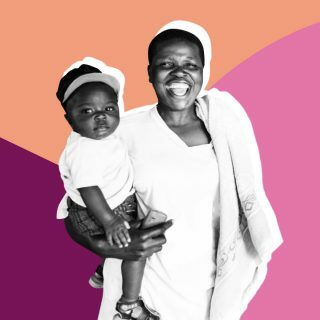 Even if women do know they should be screened, affordability is a barrier, said Salako, whose charity provides the service for free and also raises funds to treat cancer patients. This year the bikers will put on a week of awareness-raising and mobile screening, after which free screenings will be available at Sebeccly every Thursday for the rest of the year. Members of the two clubs and any other female bikers who want to join in will ride through the streets, to schools, malls and other public places, distributing fliers and talking to women about the importance of screening. 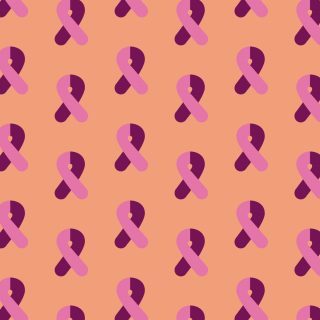 Last year their funds, from private and corporate donors, could only stretch to two mastectomies, and they hope they will be able to sponsor more treatments this year. “We encourage this person to come, and then she finds out that something is wrong and you abandon her,” said Samuila, a former telecoms executive who now runs her own confectionery and coffee company. This is just the latest in a number of projects the bikers have organised. 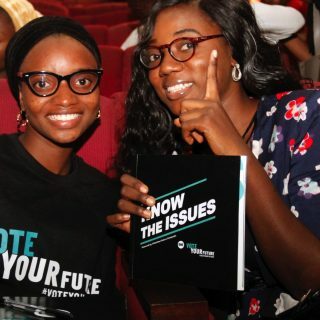 In 2016 they launched Beyond Limits, a scheme to encourage young girls to fulfil their potential beyond societal expectations of marriage and babies. They travel to schools to give talks and invite senior women working in science, technology and innovation to take part. 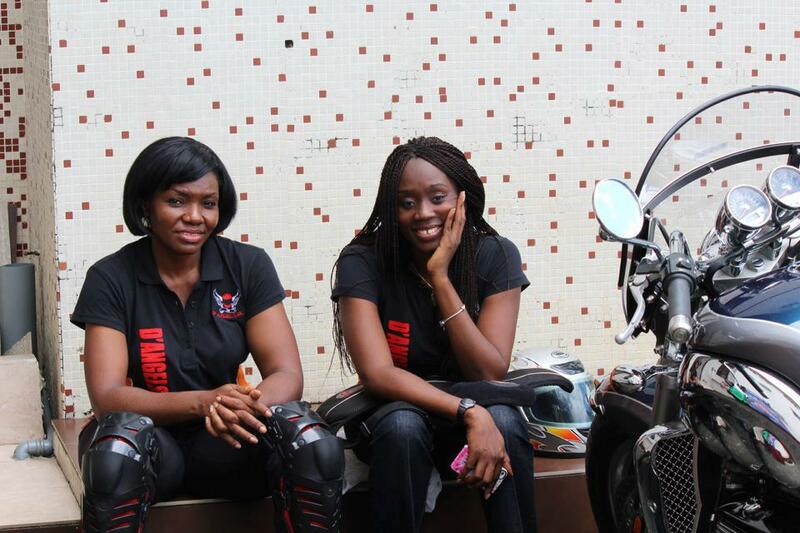 Samuila formed D’Angels with 37-year-old Jeminat Olumegbon in 2009 after they were denied entry to the established, all-male bikers’ groups in Lagos. “They didn’t want us. They were like, ‘No, women don’t do this. Women are used to being carried around. Why don’t you guys just be on the sidelines?’ That sort of pissed us off and we then went on to form our own club,” said Samuila. 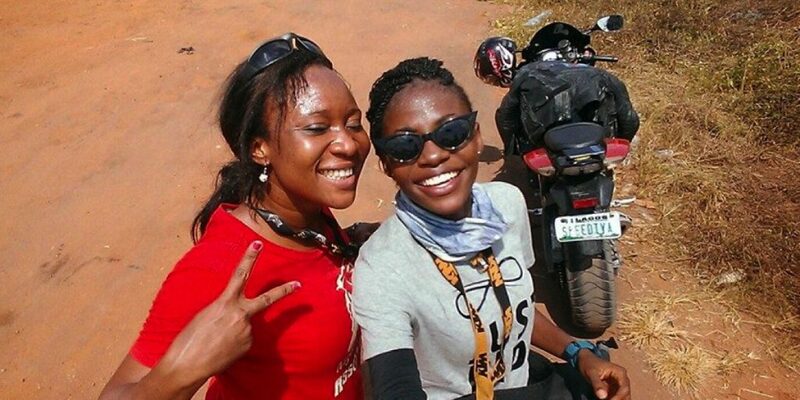 In 2010, the pair rode from Lagos to the southern city of Port Harcourt to attend a bikers’ event, a 617-km (383-mile) trip that the men had told them was impossible for a woman. “That was the turning point in our relationship with the male bikers,” said Samuila. The two-day ride earned them a new respect from the male riders, some of whom now take part in the screening awareness programmes themselves. In 2015 Olumegbon, also an FBI board member, took on an even bigger challenge riding 20,000 km through eight West African countries in 30 days to raise funds for children in orphanages. “I’ve been riding since 2007. 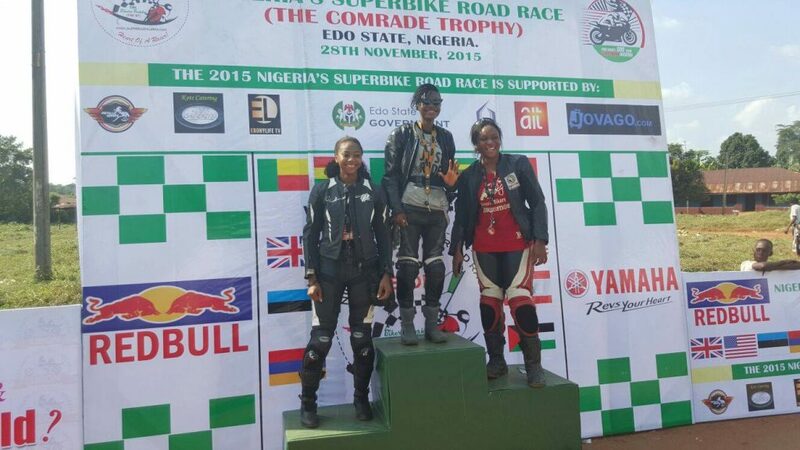 At first, I was the only female riding, then I found Nnenna and the other girls,” she said. 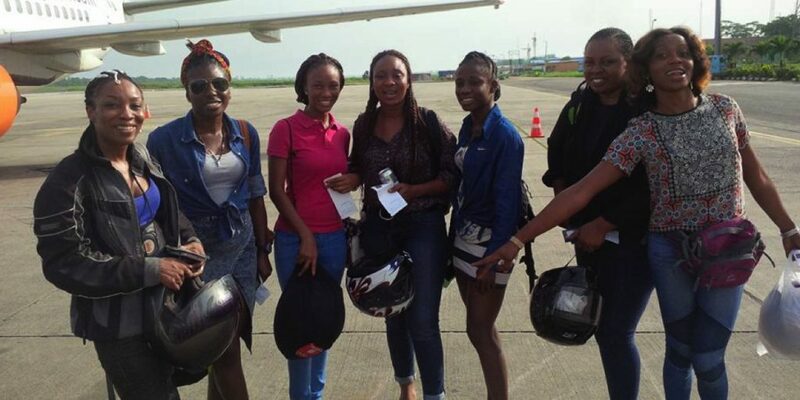 The bikers plan to extend their initiative to other parts of Nigeria, and have also received invitations from women riders in other West African countries. 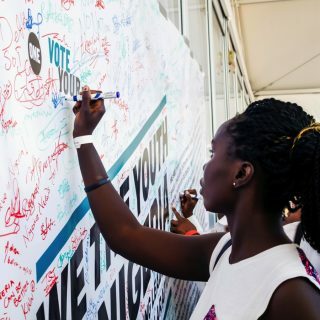 For now though, they want to focus on making sure their efforts reach every woman in Lagos. “When we speak to people on the streets, many don’t even know of cervical cancer,” said Samuila.